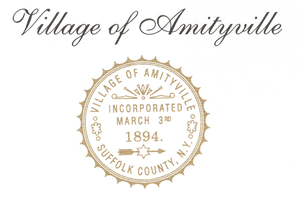 Welcome to Village of Amityville online (Resident and Non-Resident) application for LIRR Railroad Parking. Please click here for Resident address lookup. Please confirm residency status before submission. Incorrect applications will be returned. Also note: you can only purchase a replacement sticker IF you have already purchased a permit for the current year. You may pay for your permit by using Visa, MasterCard, Discover credit, debit cards, and E-Checks. By law the Village is not allowed to pay the transaction processing fee (collected by the web service provider) therefore it must be paid by the user. Credit cards will have a 2.45% fee, VISA debit cards have a $3.95 flat fee and electronic checks have a $1.75 flat fee. Please be assured that every precaution has been taken to make your online transaction safe and secure. In person payments by cash, check or credit card (fees apply) are accepted at the Village Hall 21 Ireland Place Amityville, NY between the hours 8am- 4pm. LIRR permits may also be purchased by mail. Please include a self-addressed stamped envelope and bank check or money order made payable to “Village of Amityville” in the appropriate amount. Please note “LIRR parking permit” on the envelope. Also note: Resident parking passes are defined as those individuls who live within the Incorporated Village of Amityville only. Car registration will be used as proof of residency . Amityville Village Hall hopes that you find the online payment feature to be a convenient and easy means by which to pay for your LIRR Parking permit.